This is another rare hybrid from the cross between miniature Sinningia and Sinn. speciosa which was made by jofoo in HK. 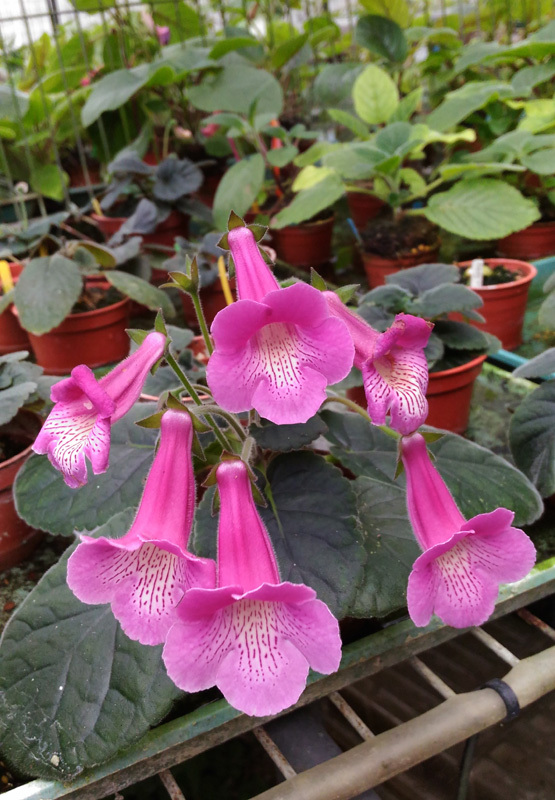 The name "Stalker" represents this plant well because the flower size is huge, more than 5CM in diameter and it is easy to get the plant covered with flowers. The showy magenta is always an eye-catching color.